Some time back we had reported that the shooting of Kamal Hassan’s ‘Uttama Villain’ was completed, and the makers have decided to release the film on 2nd of October. Latest update that has come in, is that Kamal Haasan used to spend four long hours for his makeup. Kamal Haasan portrays different looks in the film, and for one of his looks, Kamal had to spend four long tedious hours of makeup. Special makeup artists were brought in from abroad, to help out Kamal. Gauthami is the costume designer for this movie, while Gibran has scored the music. 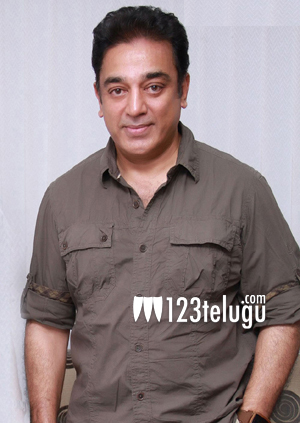 Kamal himself has penned down the script for this film and Ramesh Aravind is the director.